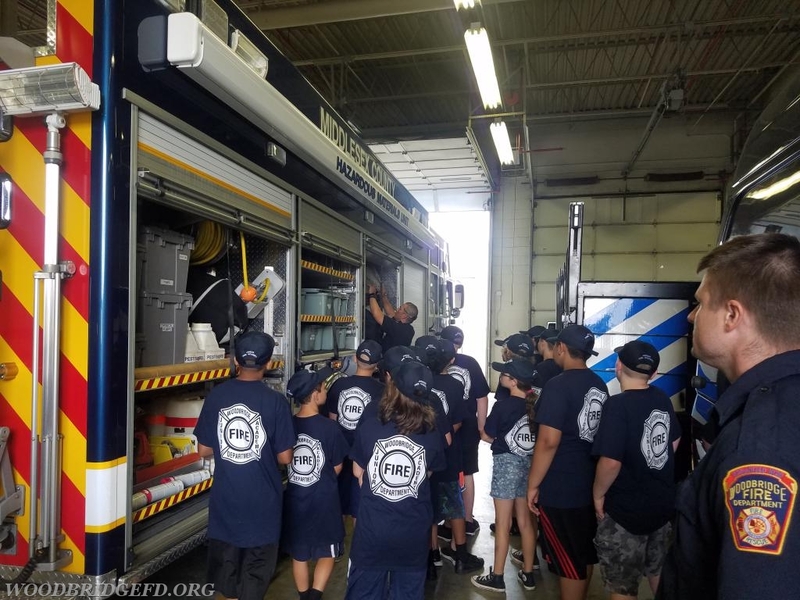 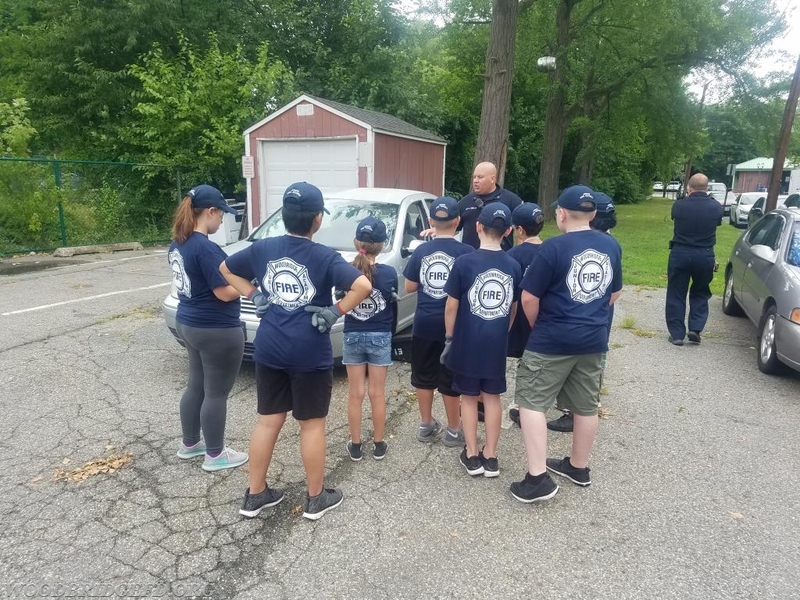 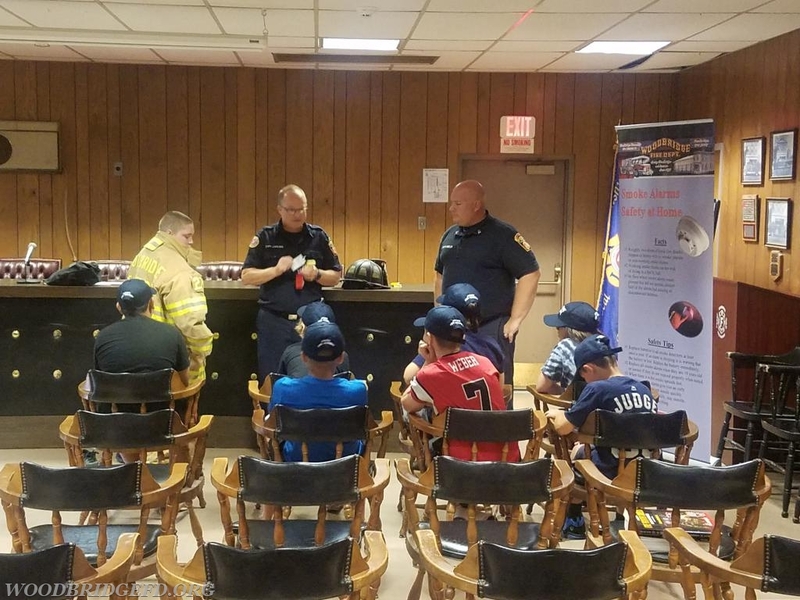 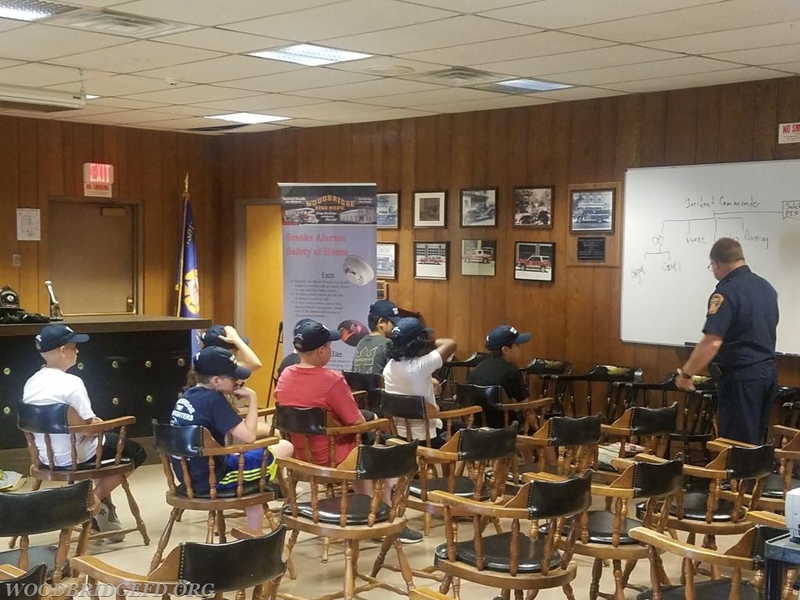 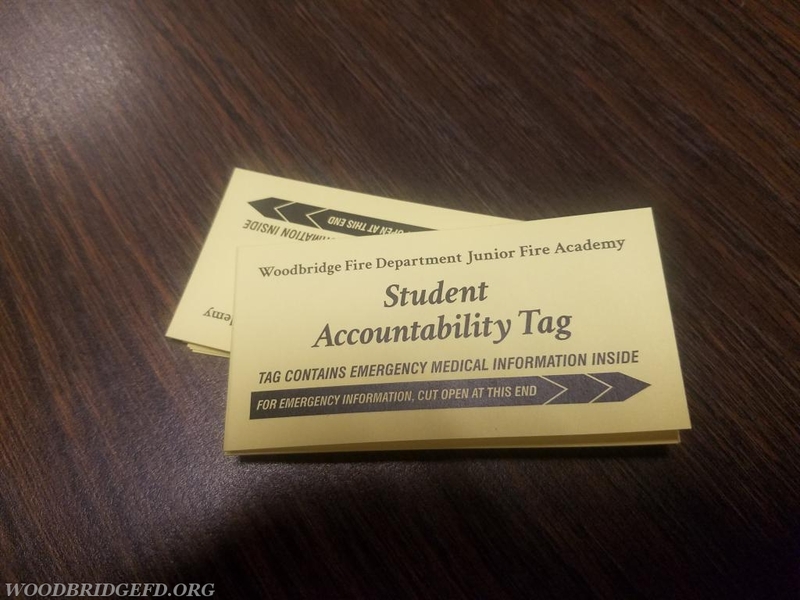 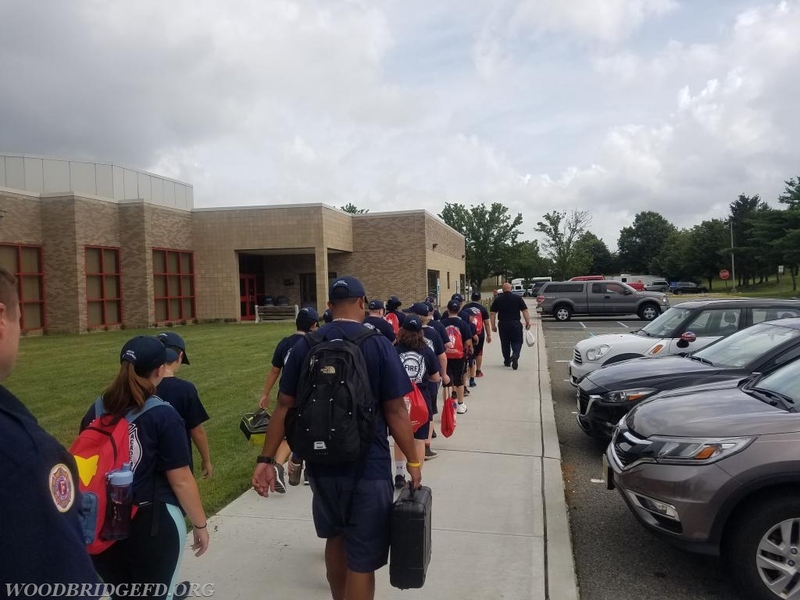 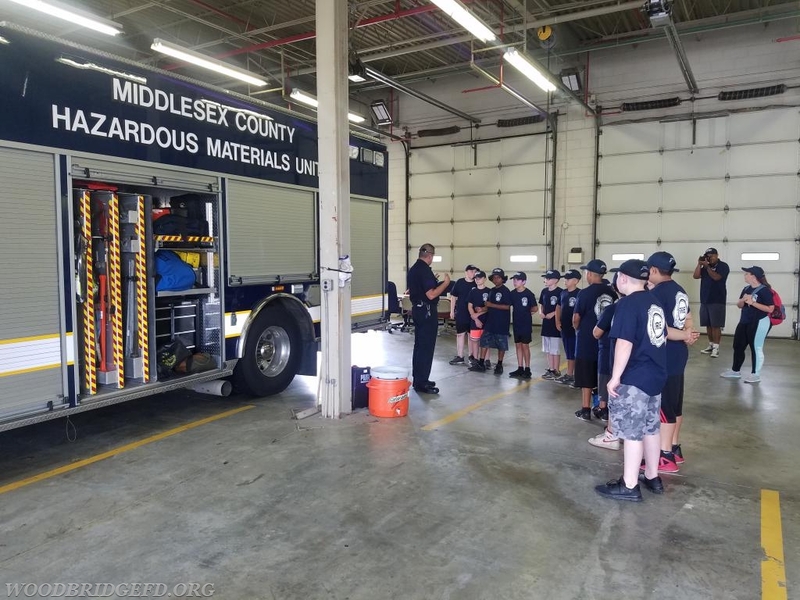 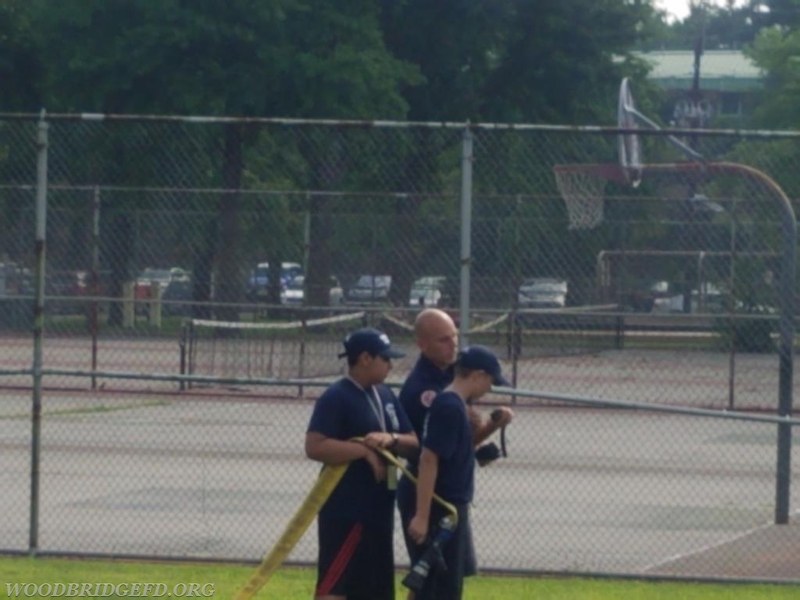 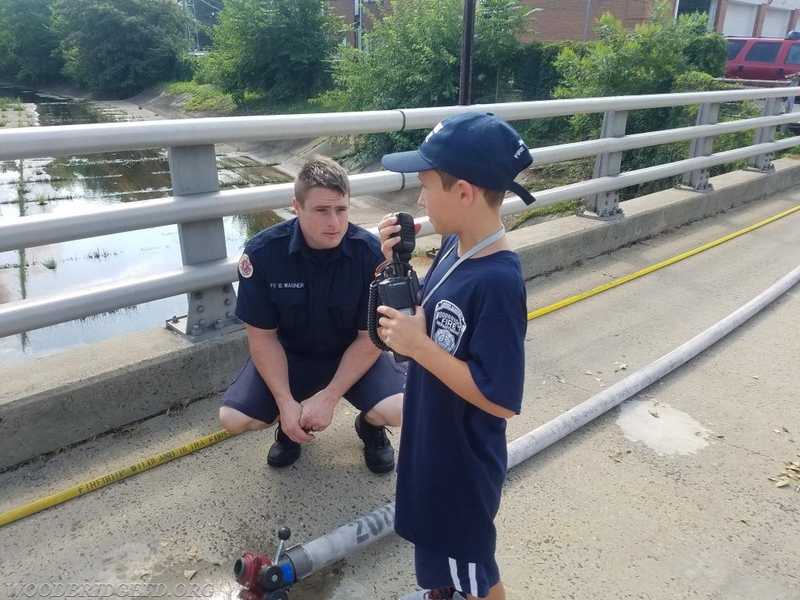 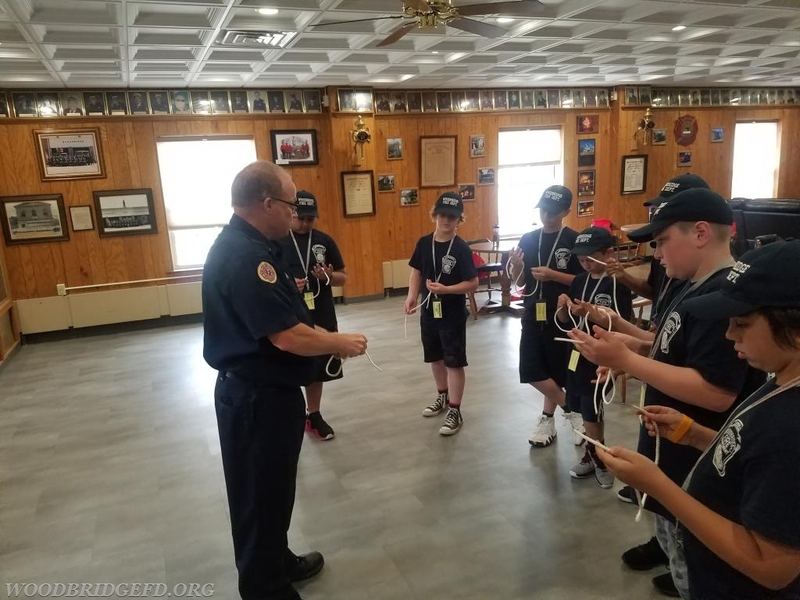 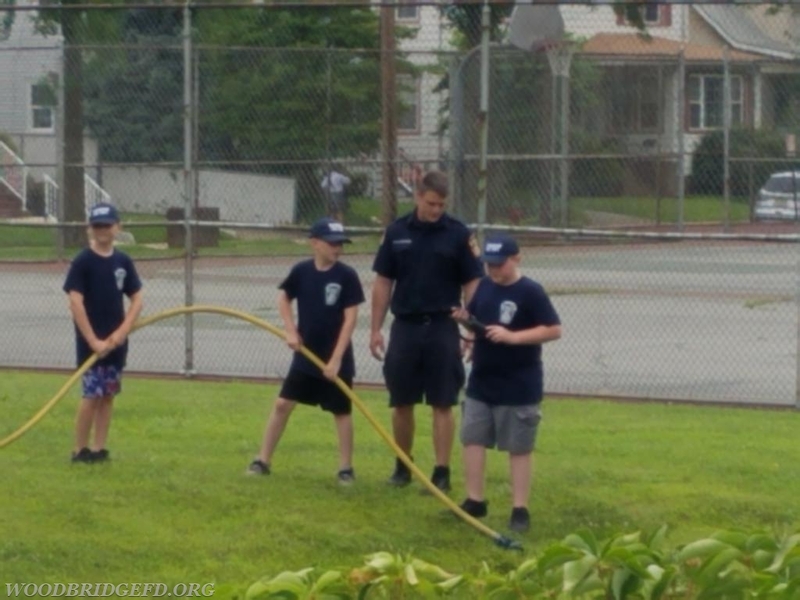 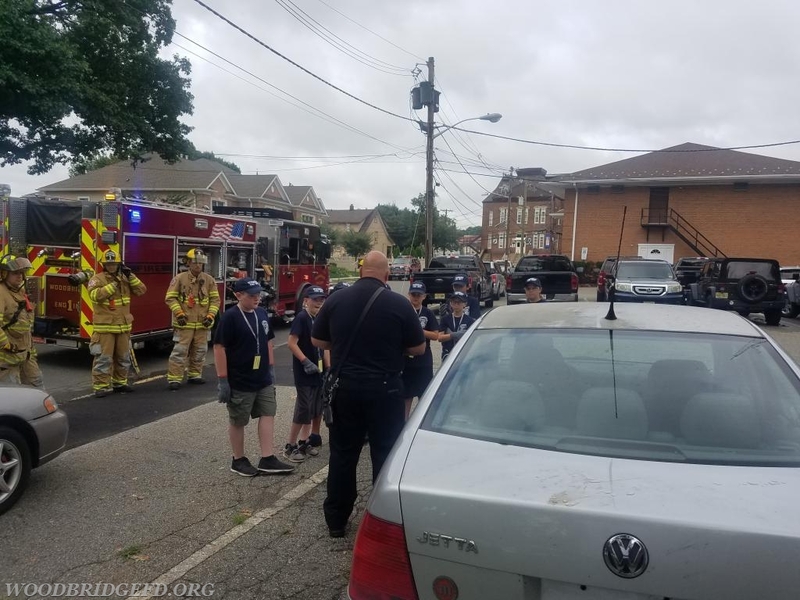 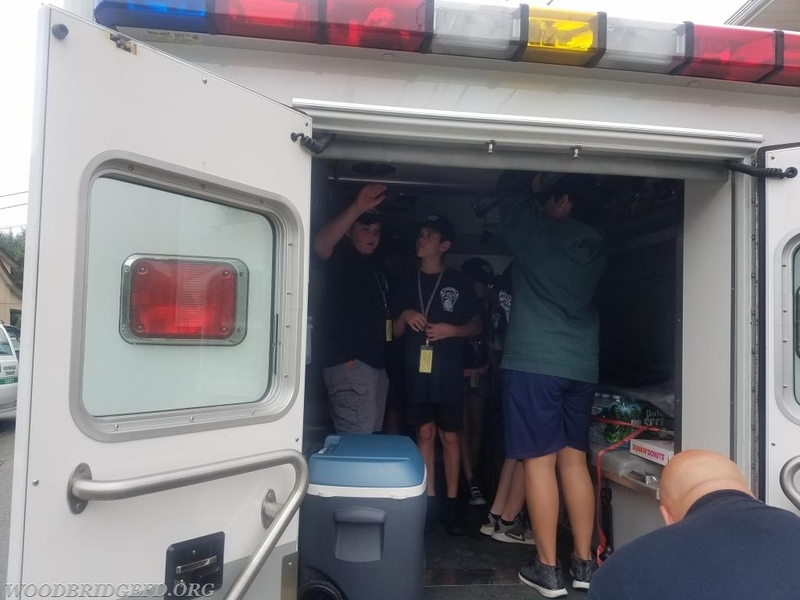 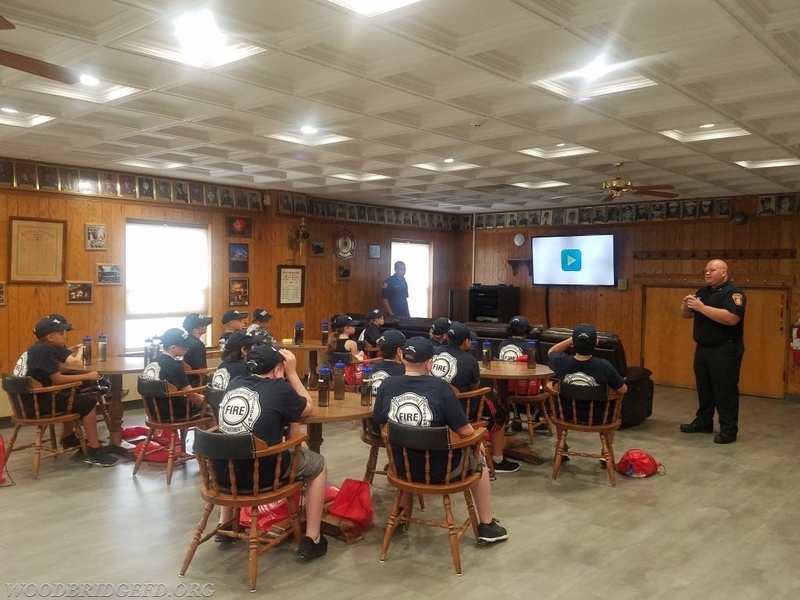 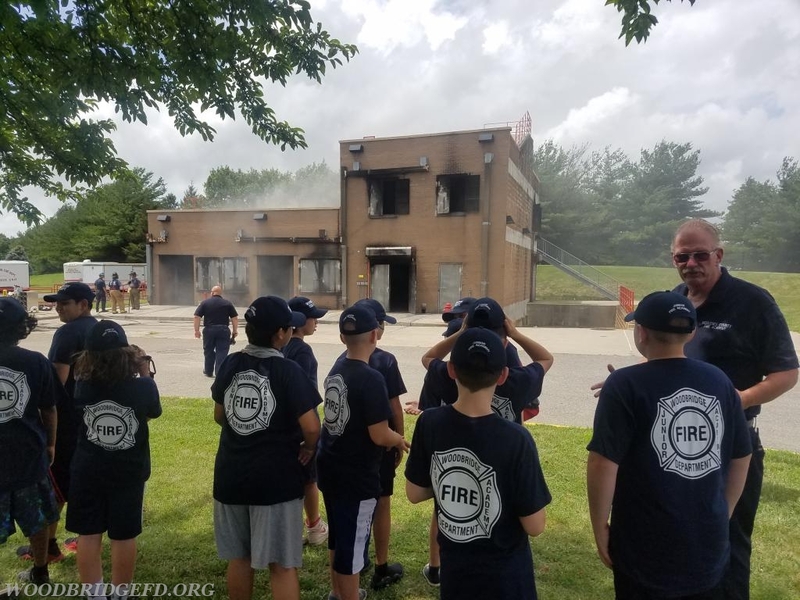 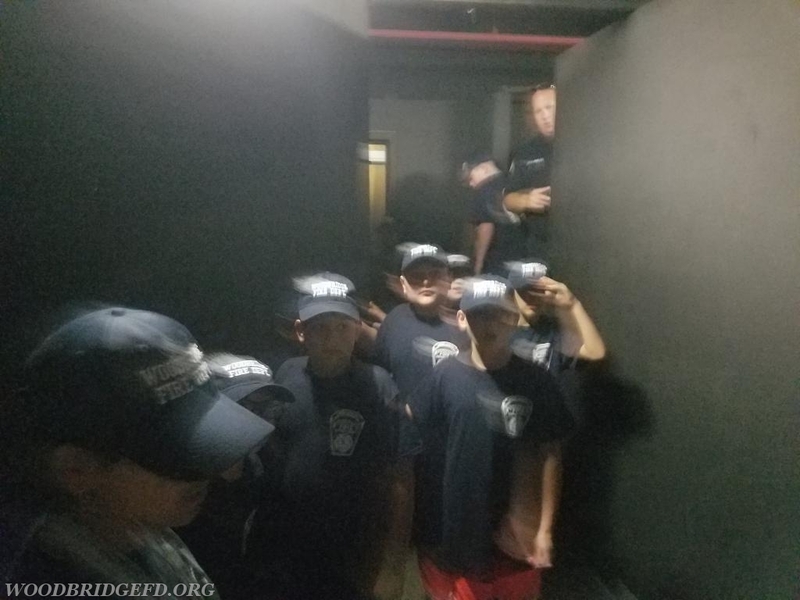 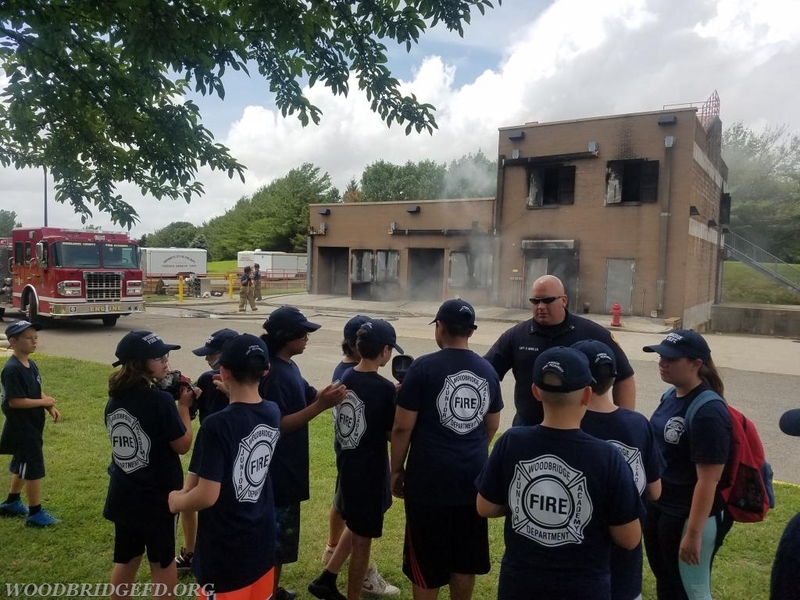 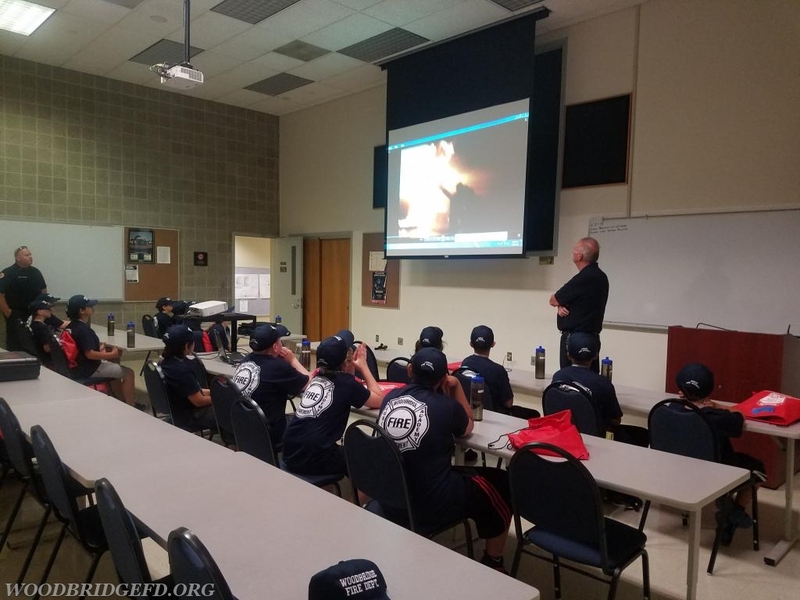 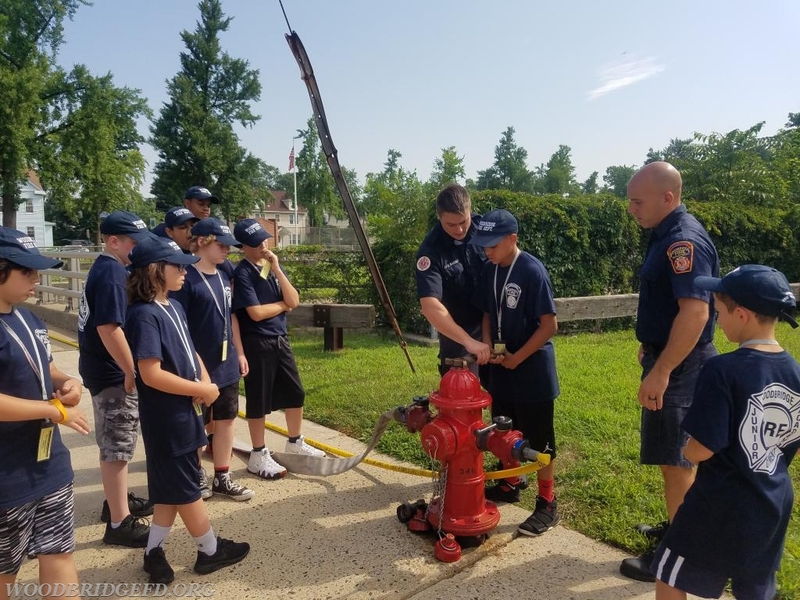 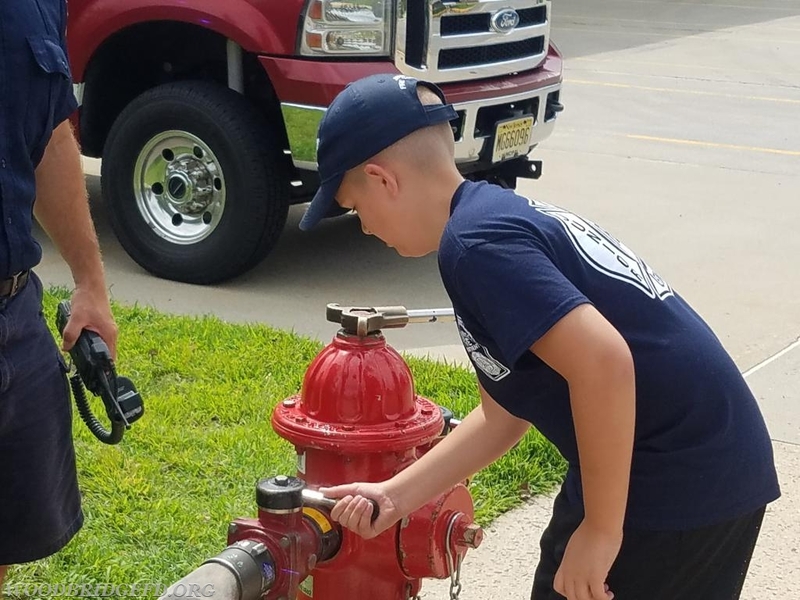 Day 2 of the Junior Fire Academy: The students toured the Middlesex County Fire Academy. 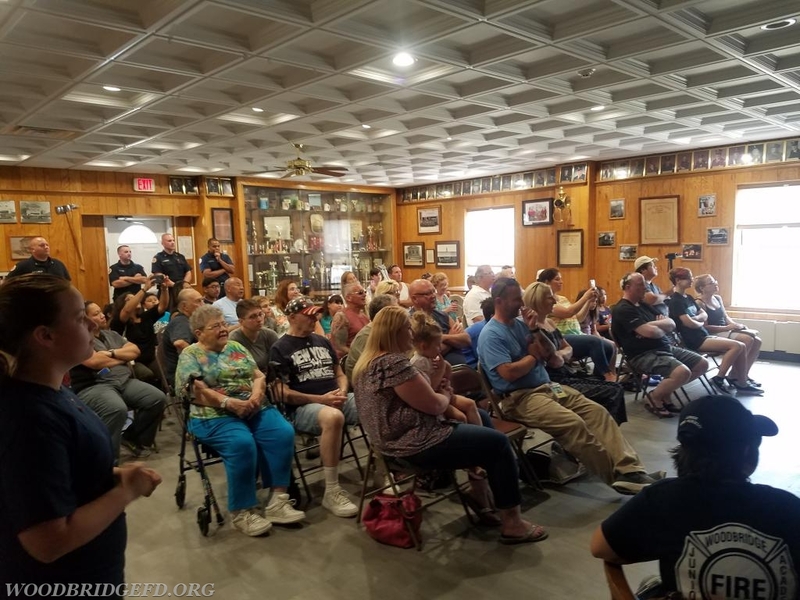 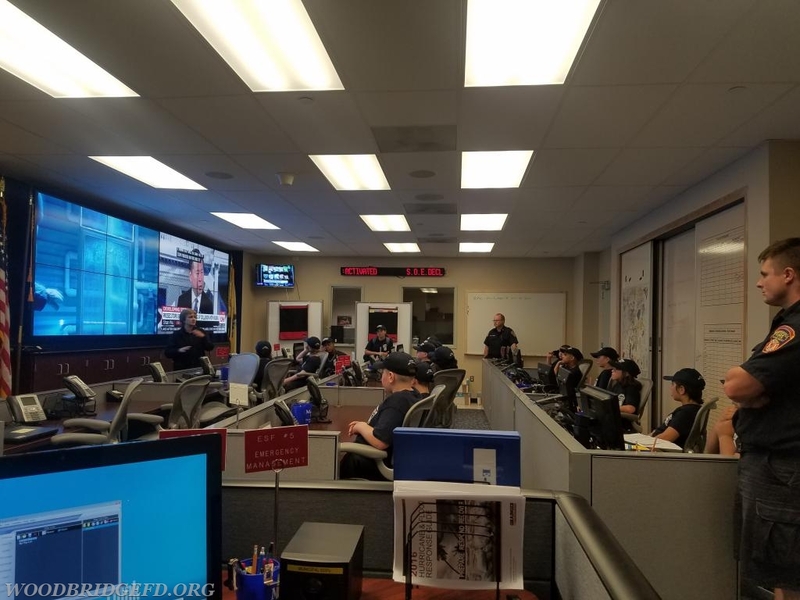 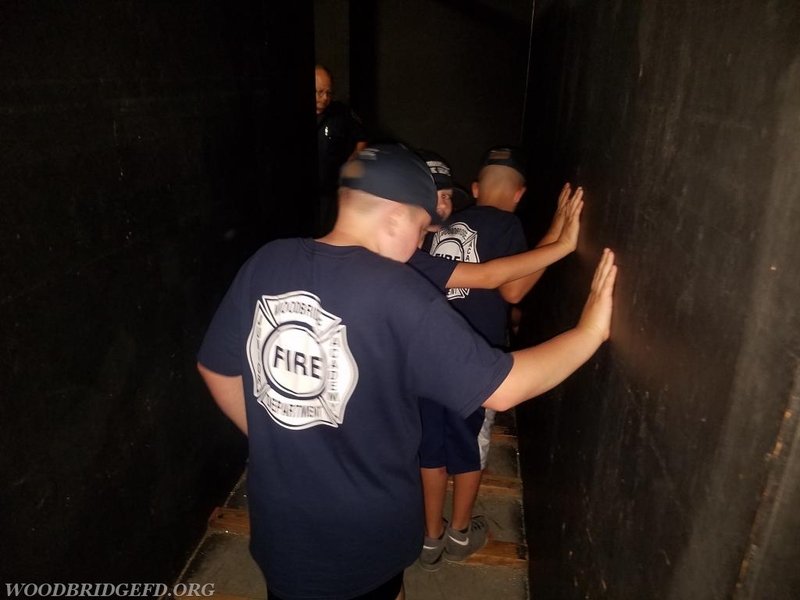 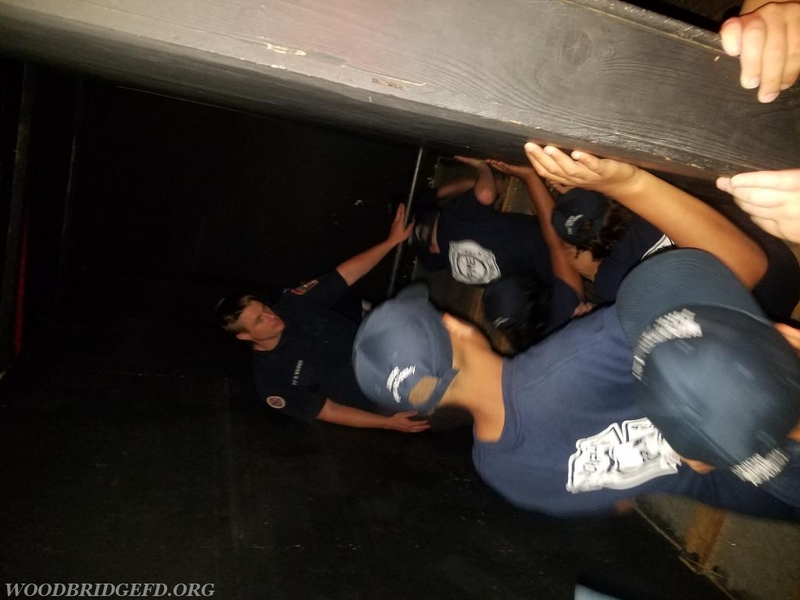 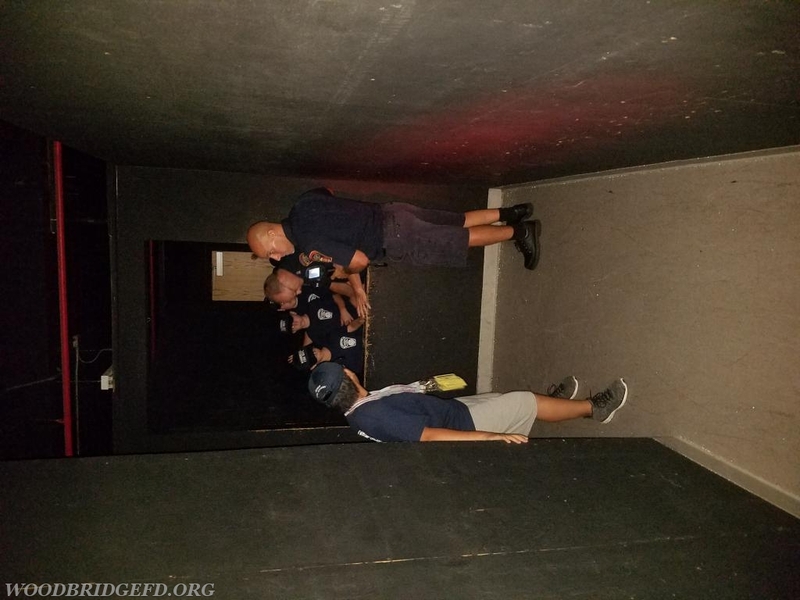 The group did a walk through of the "maze" which firefighters use to train to navigate and search in total darkness, they watched a live burn demonstration and learned about our thermal imaging cameras, participated in physical training and toured the County HazMat - Emergency Management center. 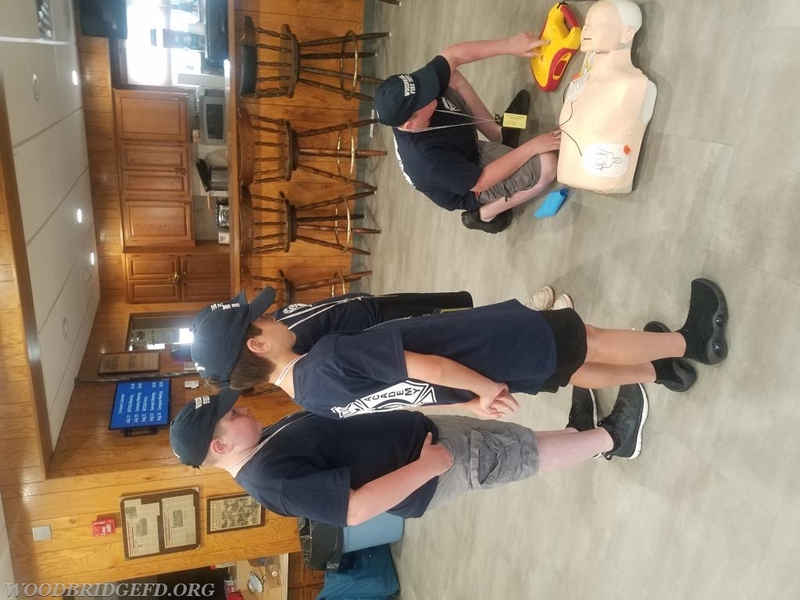 Day 3 of the Junior Firefighter Academy: Students learned CPR, the use of AEDs and how to assist choking victims. 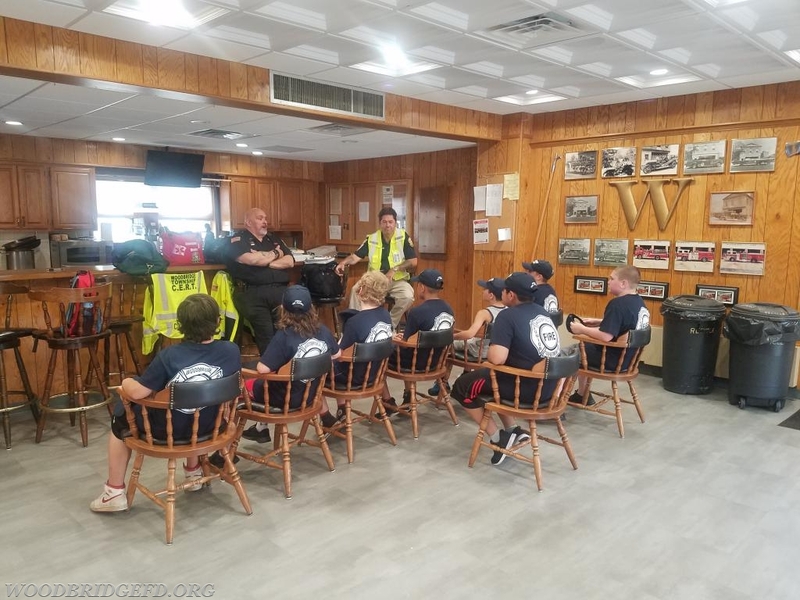 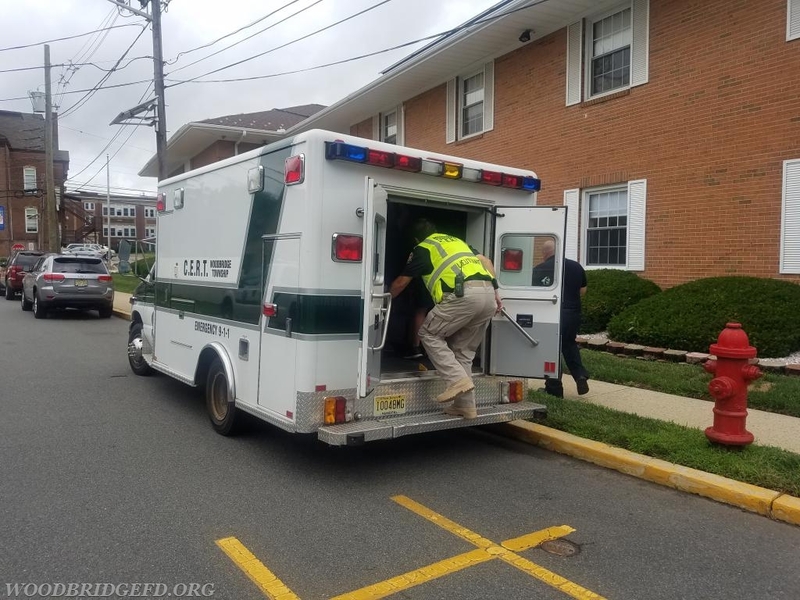 The Woodbridge CERT gave a tour of one of their rigs and gave an overview of their role in emergency response. 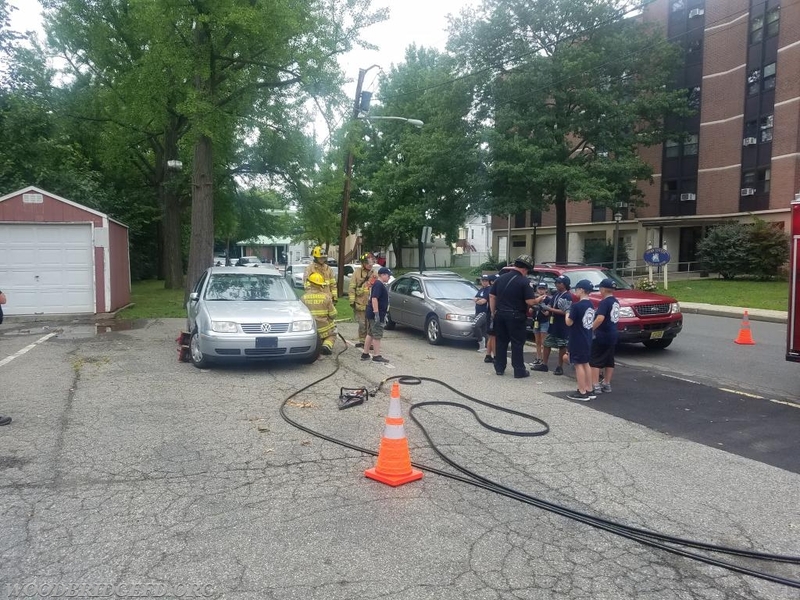 Day 4 of the Junior Firefigher Academy covered motor vehicle extrication and weighted hose advancement. 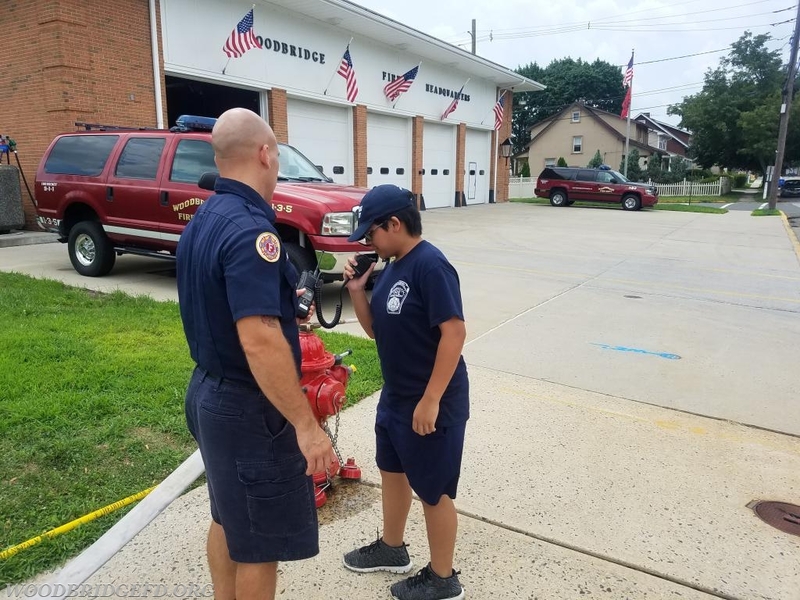 They also worked with an SCBA and a hose dummy for victim rescue. 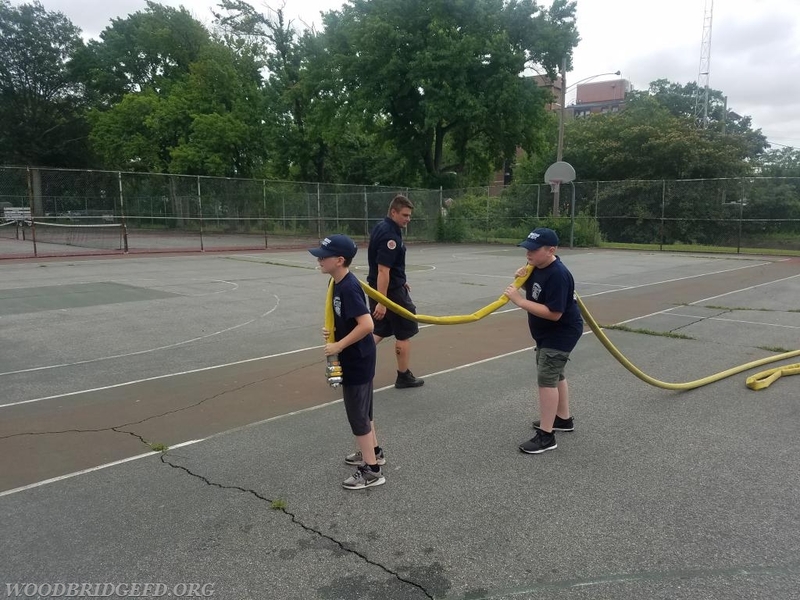 They spent the afternoon learning about hydrants and how to dress the hydrant at a fire. 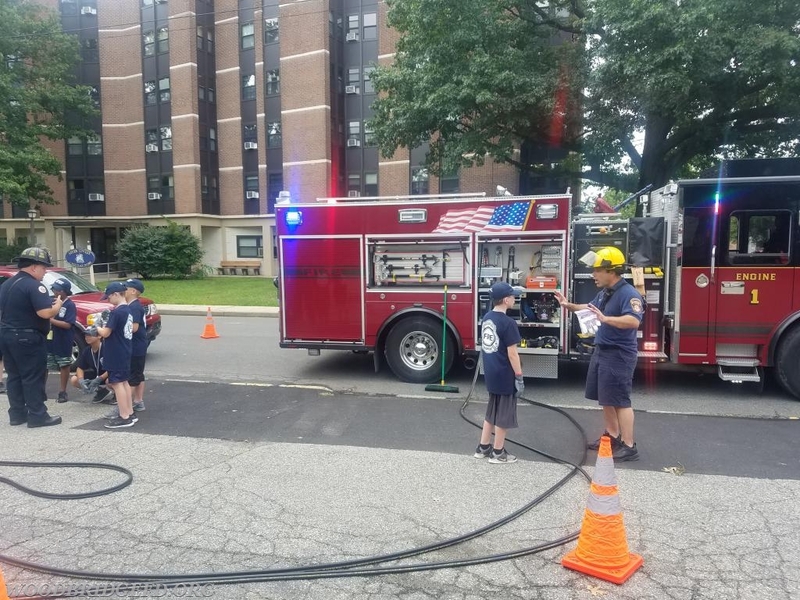 They also worked with high rise packs and hose advancement in an interior stairwell. 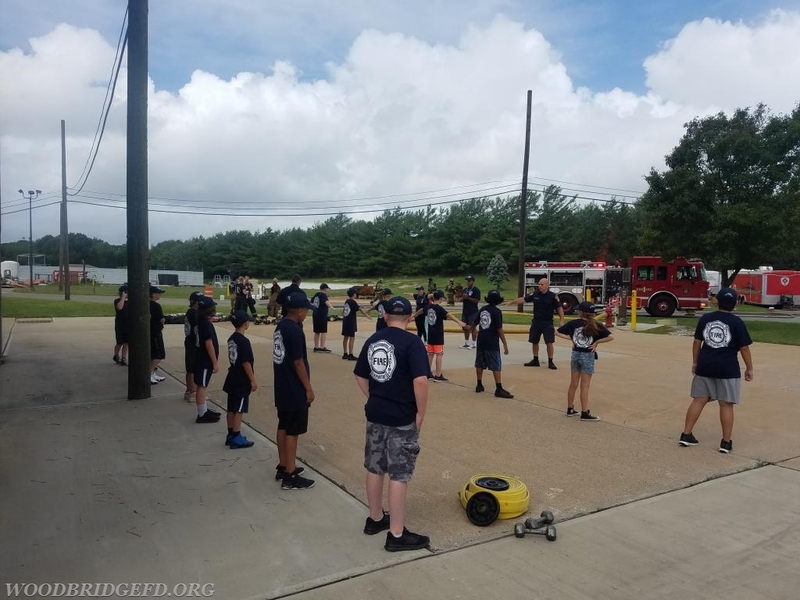 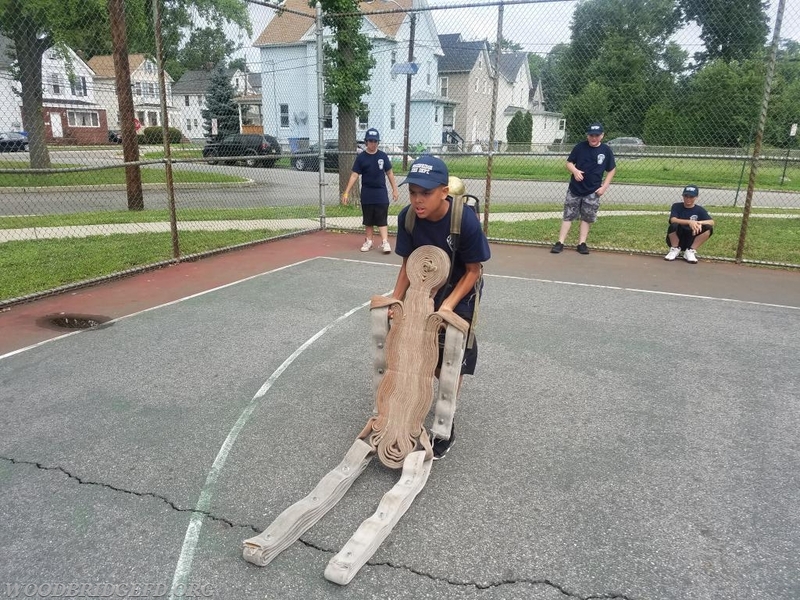 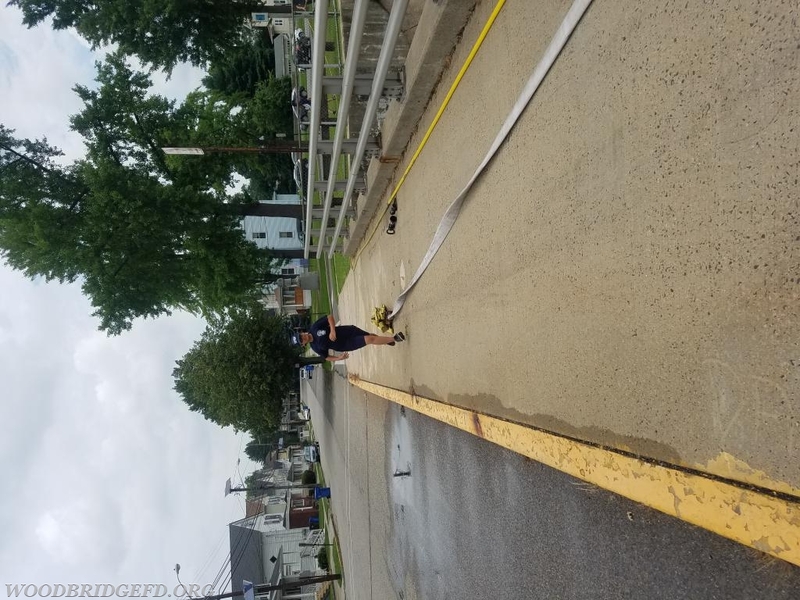 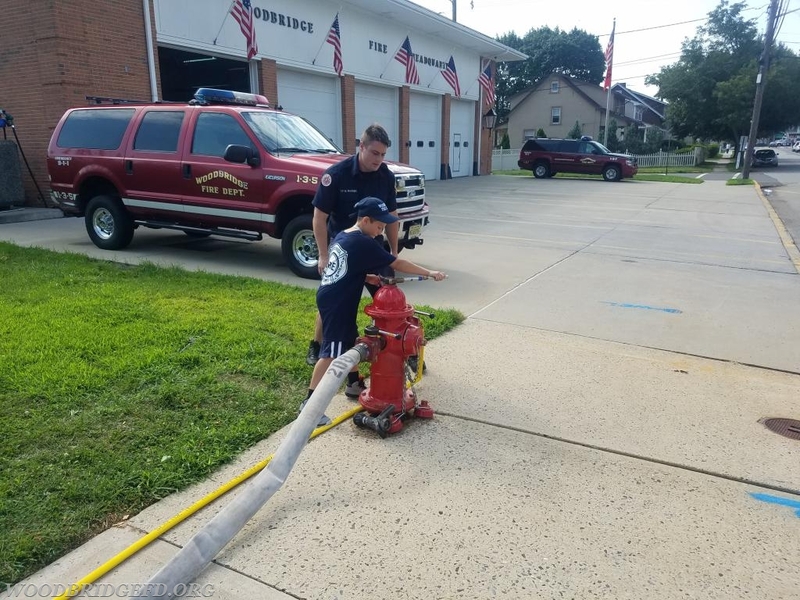 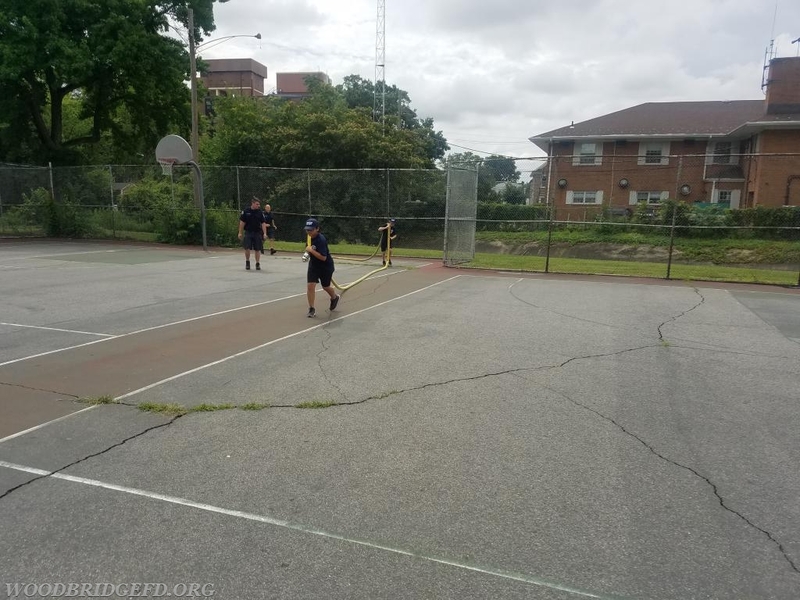 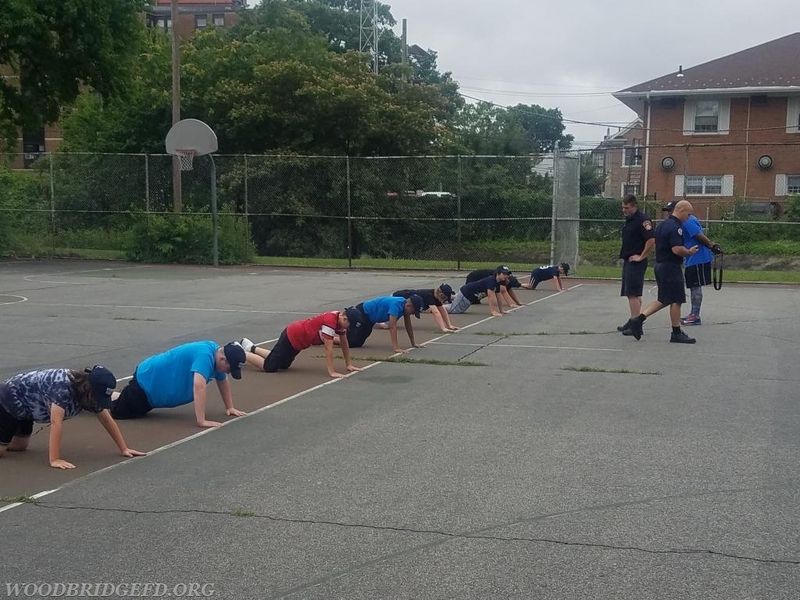 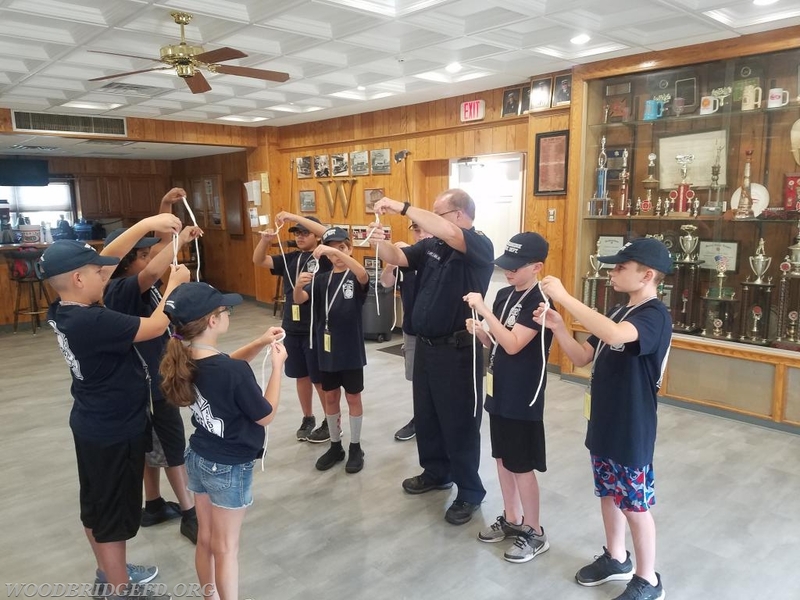 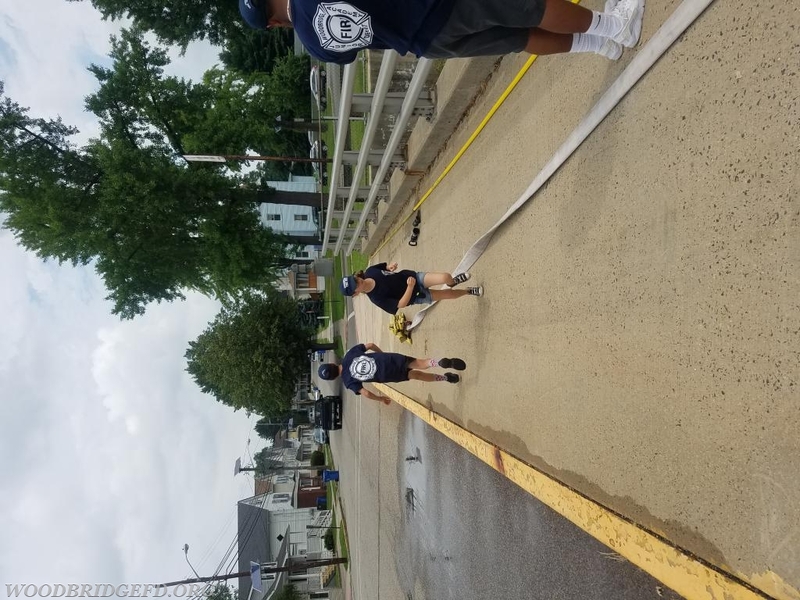 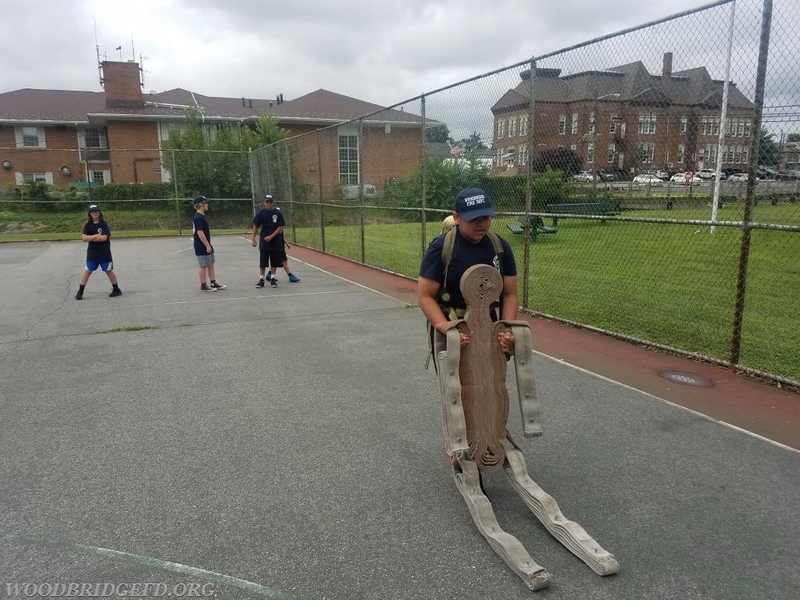 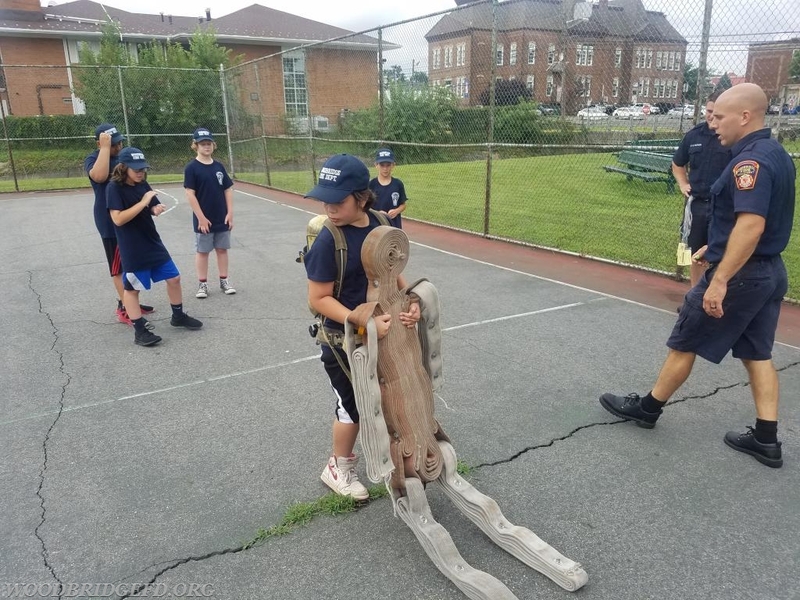 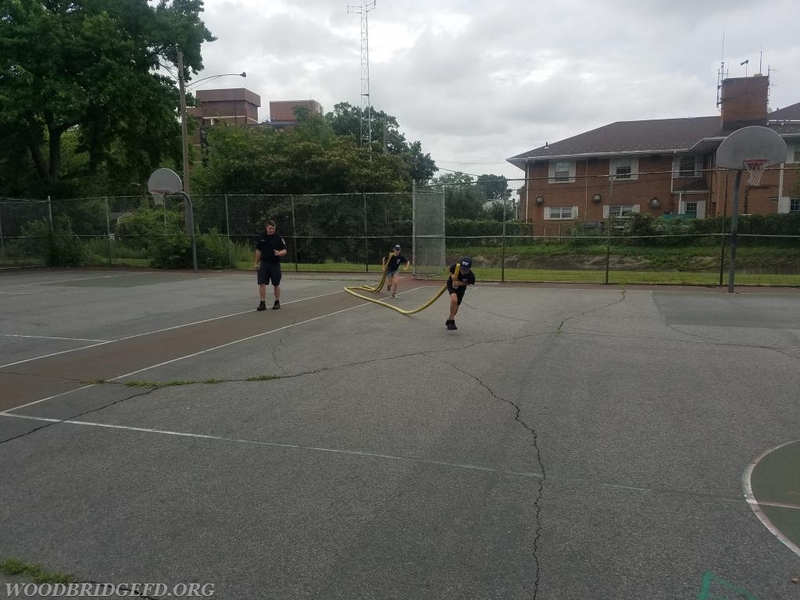 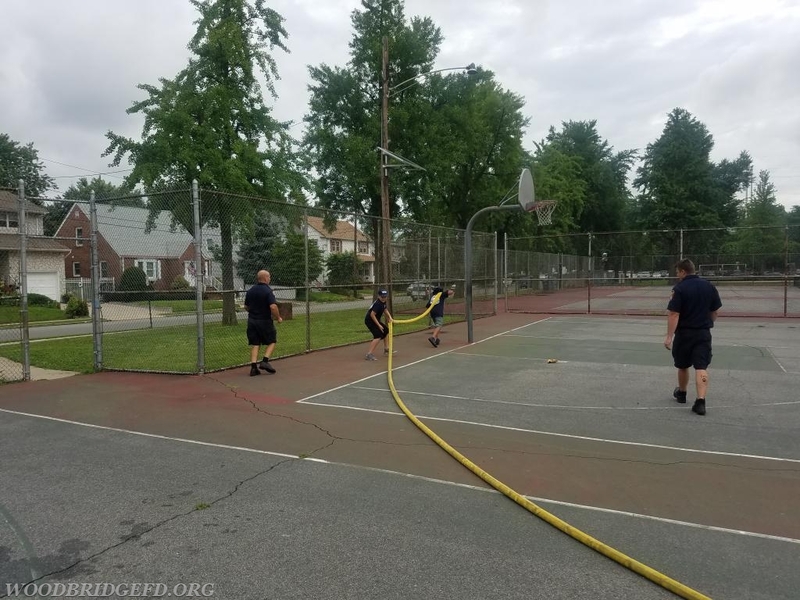 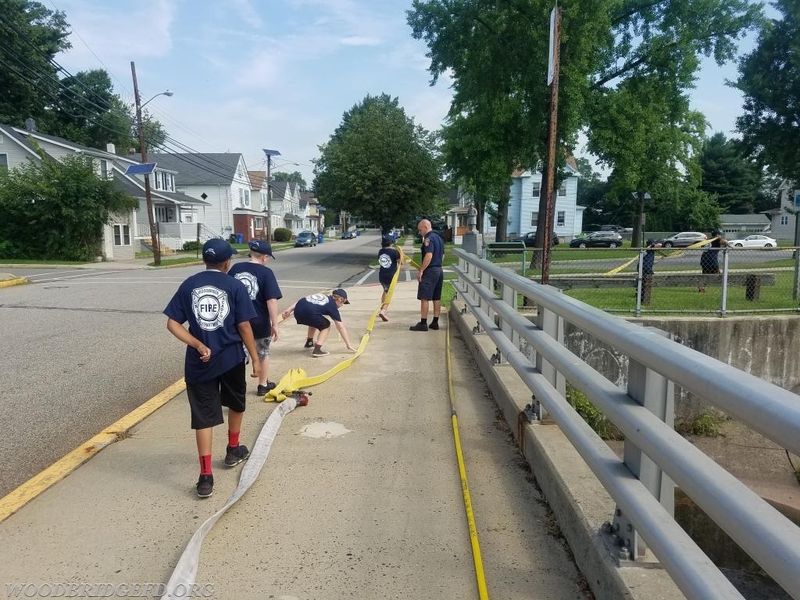 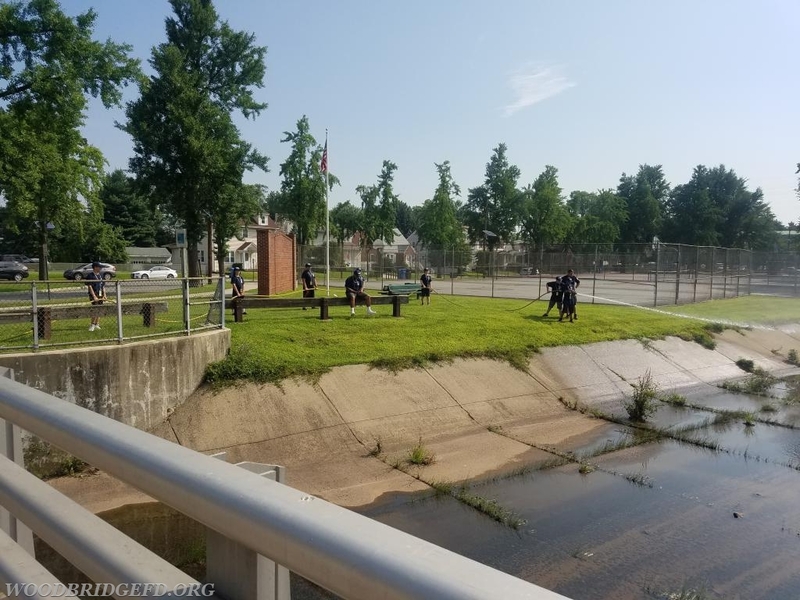 On day 5 the students worked on knots, Chemistry of Fire, water supply, hose handling, and radio communications all before the graduation ceremony.